Sano Steam was founded in Wilmington, NC in 1989, and, ever since, we have been cleaning and restoring a wide range of surfaces in not just homes, but businesses, too. 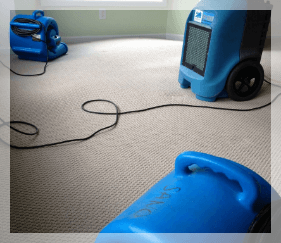 Whether it is carpet cleaning, hardwood floor cleaning and polishing, air duct cleaning, water damage remediation, or any of the other specialties we excel at, we provide our clients with fair prices, dependable service, and a great attitude. Our satisfaction comes from seeing happy and satisfied customers, and that’s what we’ve been doing for over 25 years. Chayse Roth is a former Marine Raider, having served over 12 years all over the world. Chayse completed his MBA in 2016. He has a passion for business and a desire to assist veterans with their transition to civilian life. Joseph Alig is a former Active Duty Marine Aviator now serving in the Marine Reserves. Joe has served his country for over 15 years in many places around world. He is currently an MBA candidate at UNCW. Having transitioned to civilian life themselves, they both understand the difficulties it presents. The founders believe that veterans have great potential to be excellent business owners and have strong desire to see veterans succeed after their service to our nation. We have a team of expert cleaners who are fully knowledgeable in the art of cleaning all sorts of messes. With fully loaded vehicles, we reach the place of our clients in no time to get the job done. We guarantee that you won’t have to delay or stop your work routine because of us. Our staff will fix the problem, do the cleaning, show you the work and will leave you a happy and satisfied customer. That’s what makes us special from the rest of the companies offering cleaning services. You can also check out the reviews and testimonials on our website to find what type of customers we have served and whether they were happy with our work or not. Sano Steam is a veteran owned company that can add value to your home or office building make it clean and as good as new. The cleaning processes that we employ are purely organic. We don’t use harmful chemicals and dangerous equipment. Our team knows which are the best and the safest products and solutions and we use them in just the right amount to provide you the comfort you had been looking for. We value the health of our clients therefore, apart from just doing the cleaning work, we also suggest our clients how to take care of the floors and the tiles so that they could maintain them for a long time. We also give a satisfaction guarantee for our services. We are confident you will be 100% satisfied in your experience in dealing with Sano Stem. So whether it is carpet cleaning, water damage repair, air duct cleaning, grout and tile cleaning, or hardwood floor clean and polish, Sano Steam is ever ready to assist you. We are just a call away. Give us a call and we will send our team with a van full of tools and equipment to assist in you in anyway possible.